What Your Debate-Induced Hangover Needs Now | ButtercupPunch - "La clique, c’est chic!" …Is some giant, looming PUTINHEAD. You think that threat’s exaggerated? We’ll see what you say when Putin’s rampaging through your city, crushing trees and flinging cars. (Terrifying image via the genius of BoingBoing). Genius, indeed. I may have to frame it. Putin: Cannot see Palin’s house from Russia. This really is a lovely picture. I simultaneously lol’d and cringed when she said that. The debate came off as perfunctory: With all the bluffing during the week, they both had to show up and get the job done, and that deflated any prospects of gettin’ down to business. Next Thursday, the Veeps will make up for this. I suspect Biden will talk over Sarah Palin’s head and let her bury herself…and it will be a beautiful thing. BREAKING: Paul Newman is dead at 83, folks. Hollywood just doesn’t make them like him anymore. OHHHHHH NOOOOOOOOOOOOOOOOOOOOOOOOOOOOO re: Paul Newman!! It’s a bird! It’s a plane! It’s Putin!!! 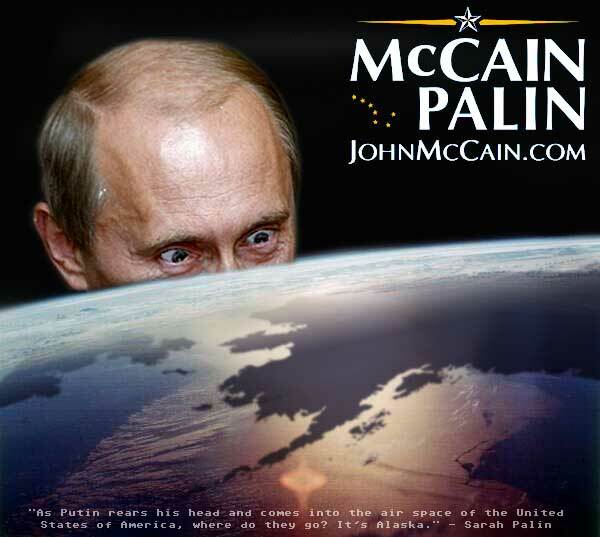 Putin just seems so much more competent than McCain. That’s all I’m saying. I’m picturing Sarah Palin in the shower, shrieking and pulling the curtain around herself.